The explosive Australian opener missed the last year's competition because of last year's infamous ball-tampering episode in Cape Town, and is set make his comeback alongside Steve Smith. 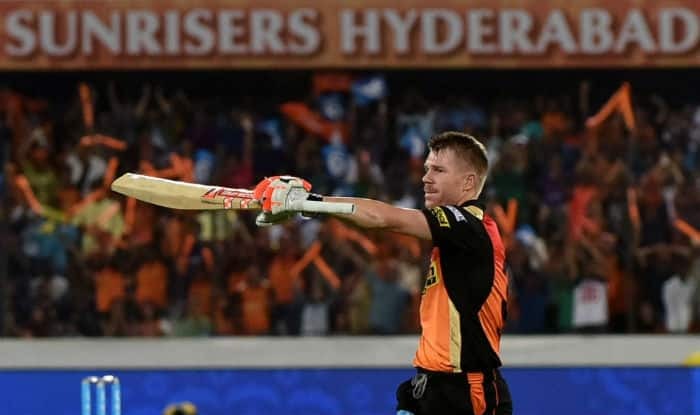 Comeback man David Warner would be the cynosure of all eyes when last year’s finalist Sunrisers Hyderabad open their campaign against two-time champions Kolkata Knight Riders in the 12th cash-rich Indian T20 league on Sunday. Under Warner’s captaincy, Sunrisers won their maiden IPL title in 2016 and in 2017 he was the leading run-getter for his team. But the Australian opener missed the last IPL because of last year’s infamous ball-tampering episode in Capetown, and is set make his comeback alongside Steve Smith.